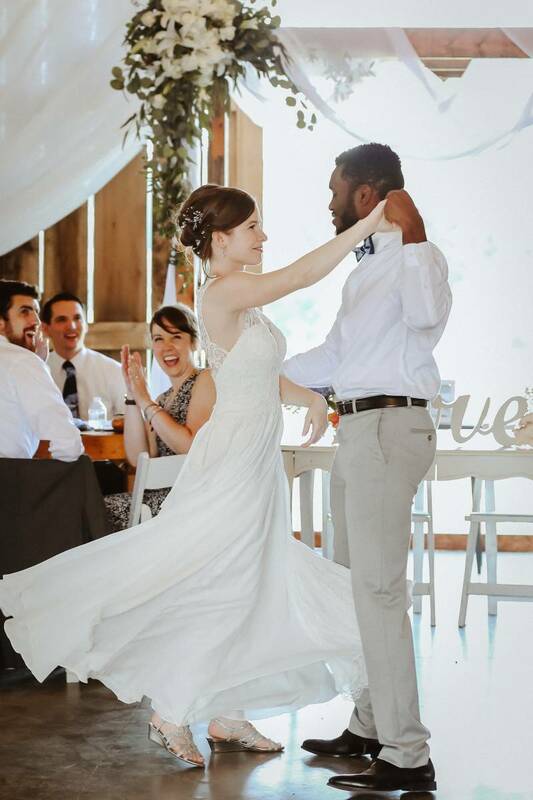 Oh the emotion! 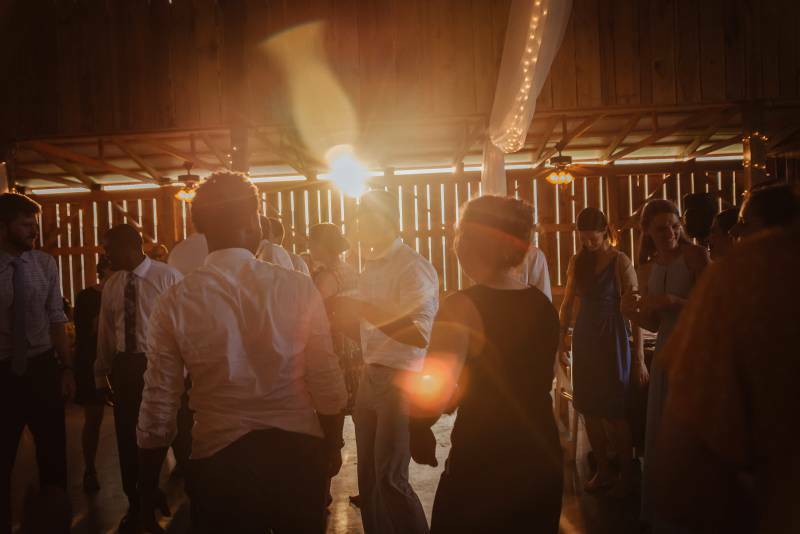 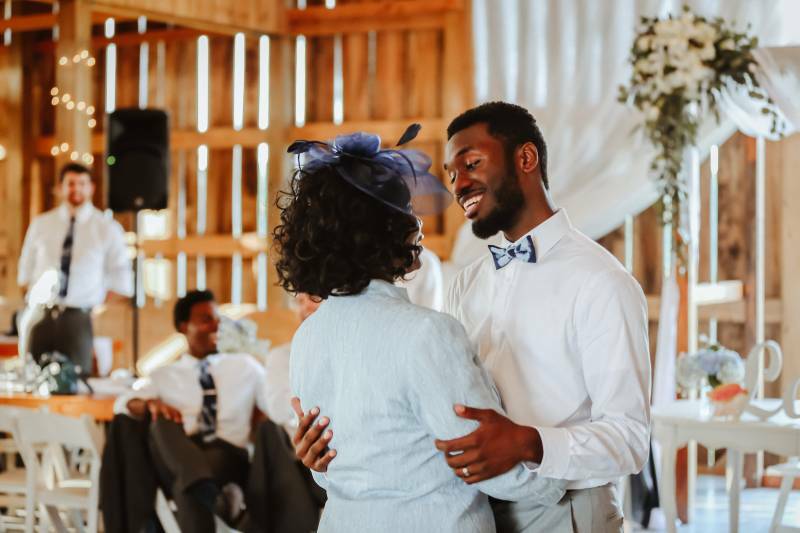 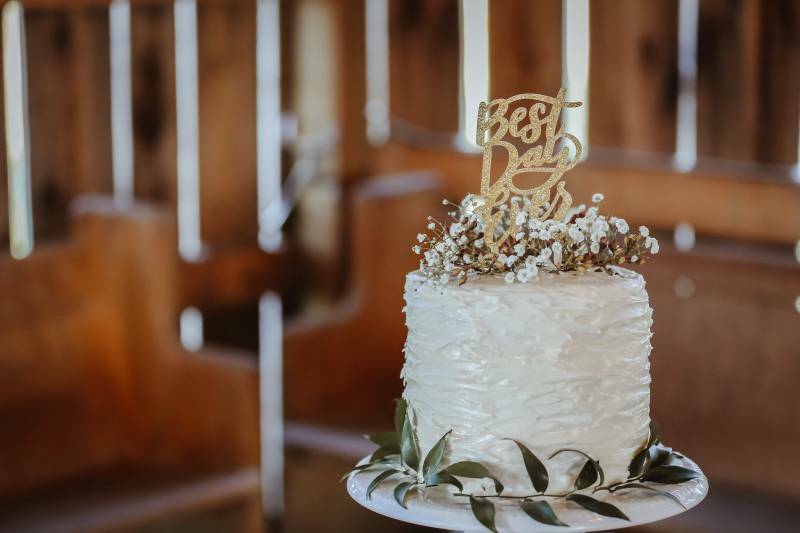 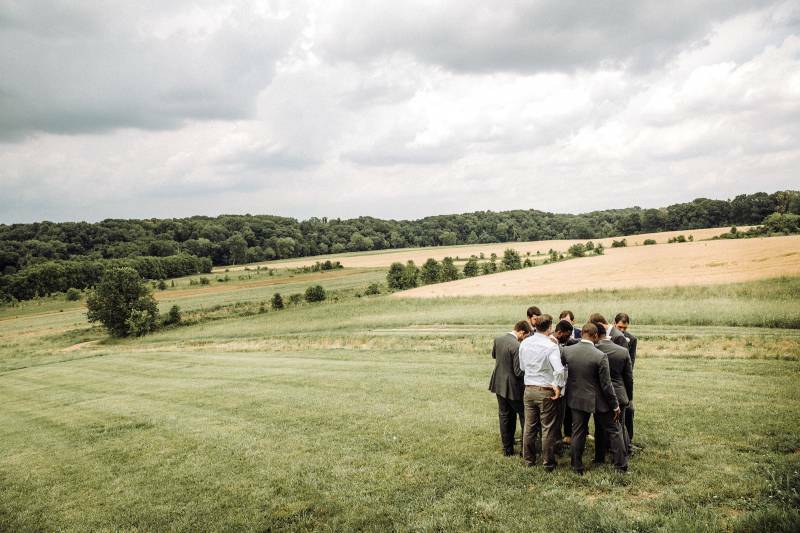 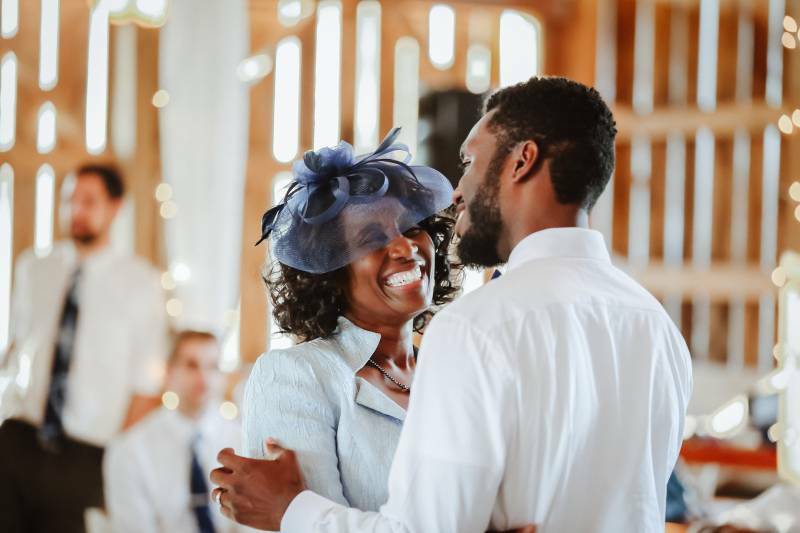 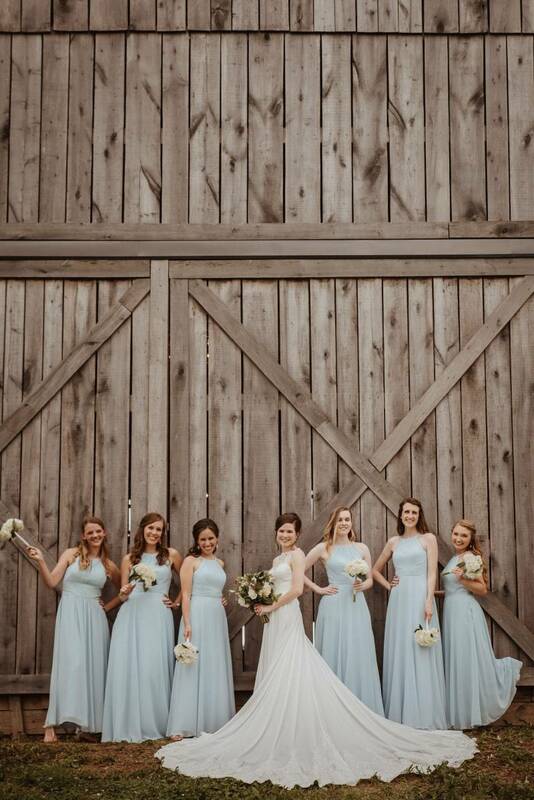 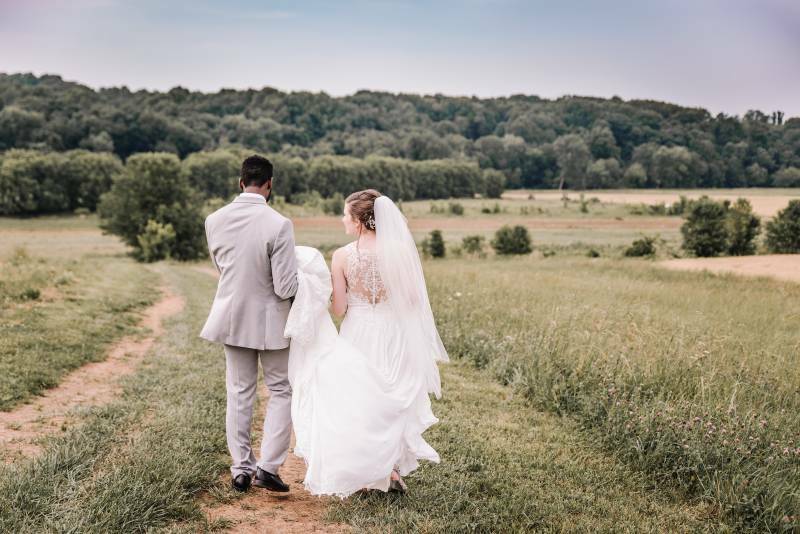 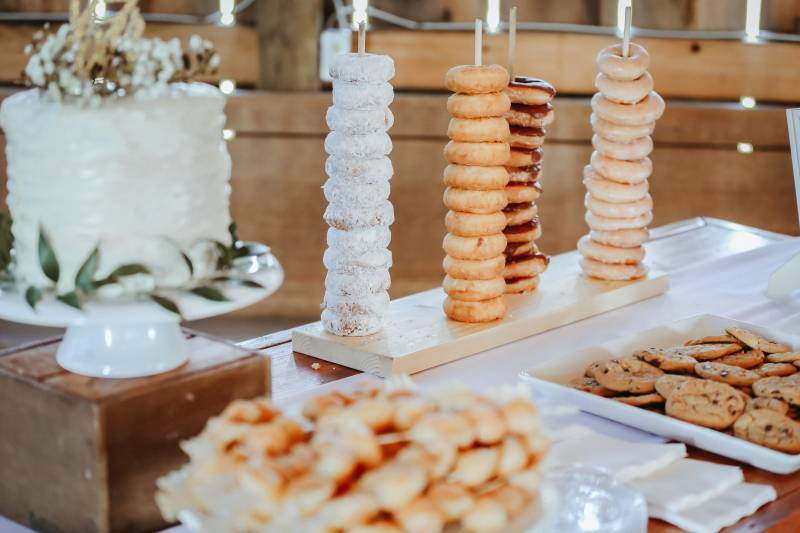 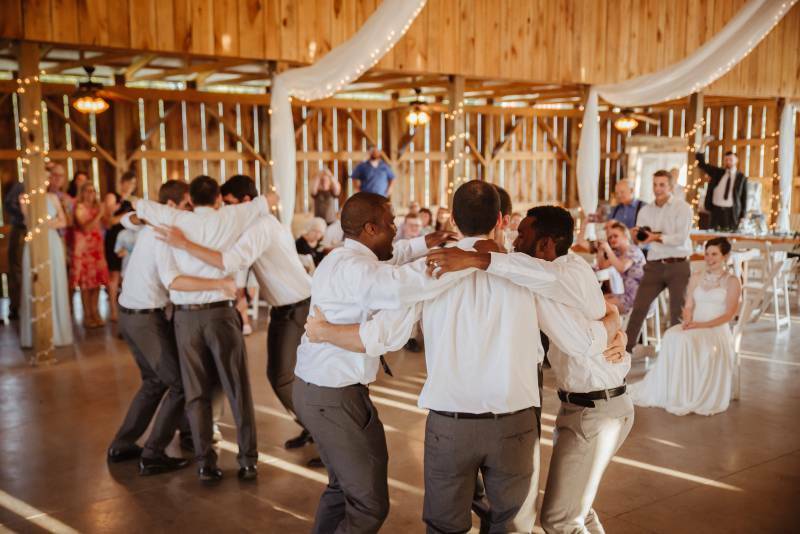 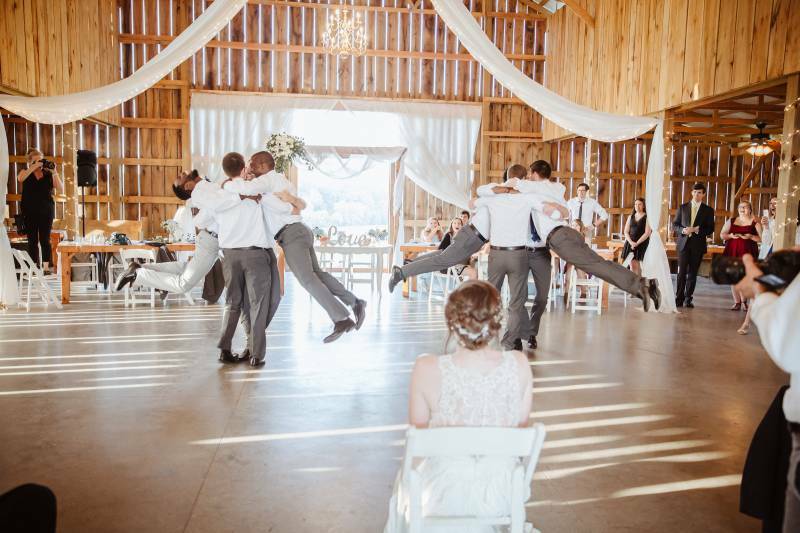 Celtson + Lauren's wedding at Red River Farms is full of feeling! 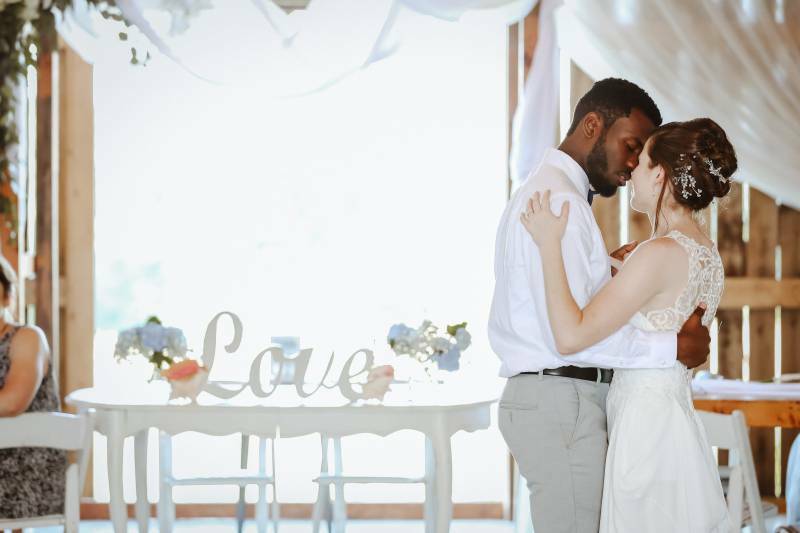 You can see from their photos by Whitney Erin Photography that their love for one another is . 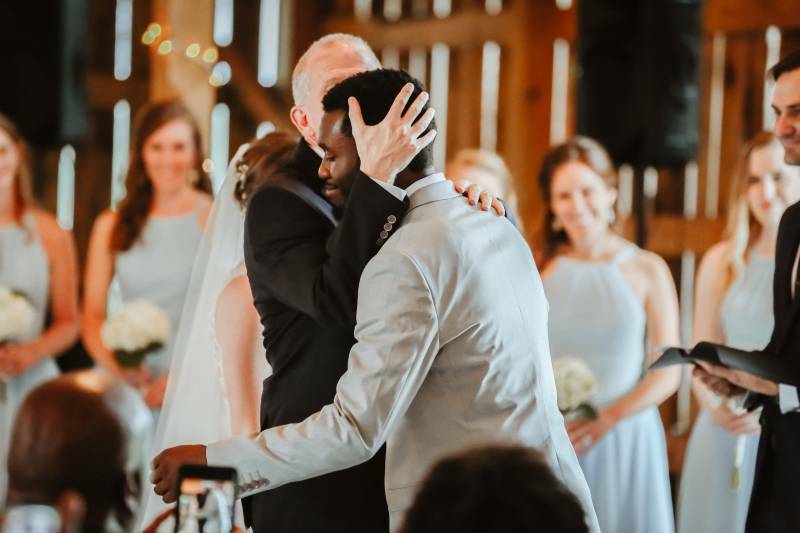 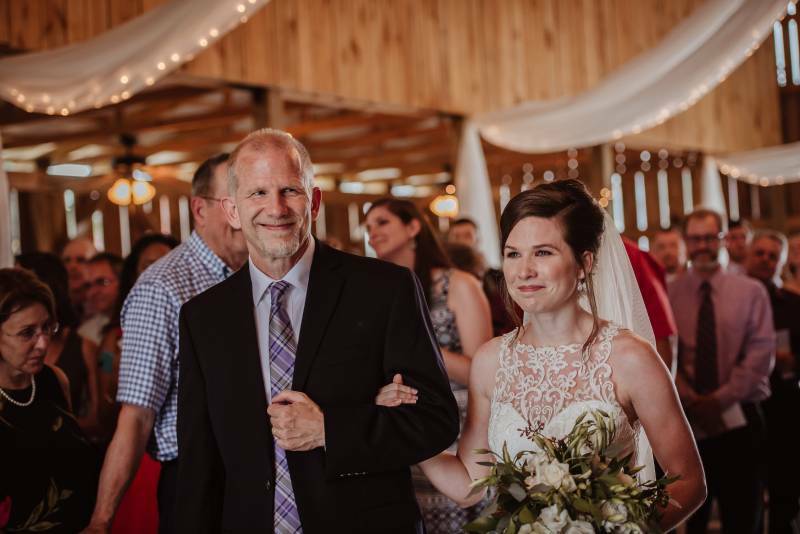 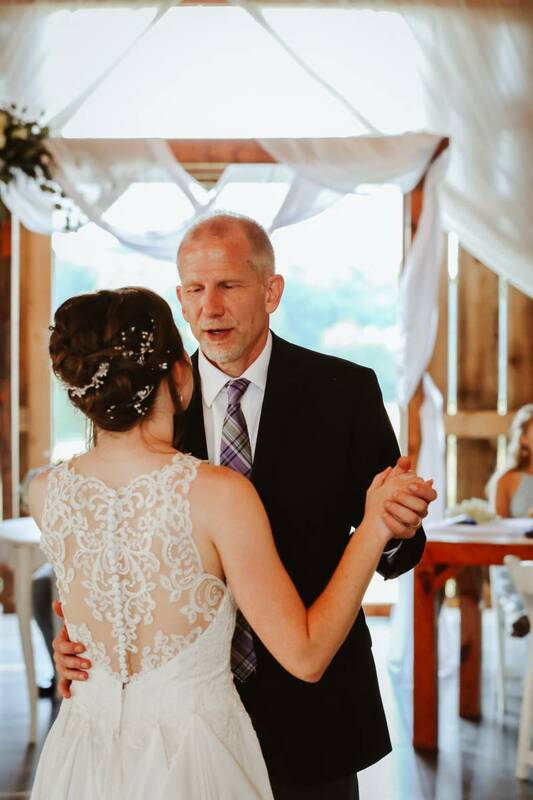 From the passionate hugs to Celtson's reaction to Lauren walking down the aisle, don't be surprised if you're crying by the end of your scroll! 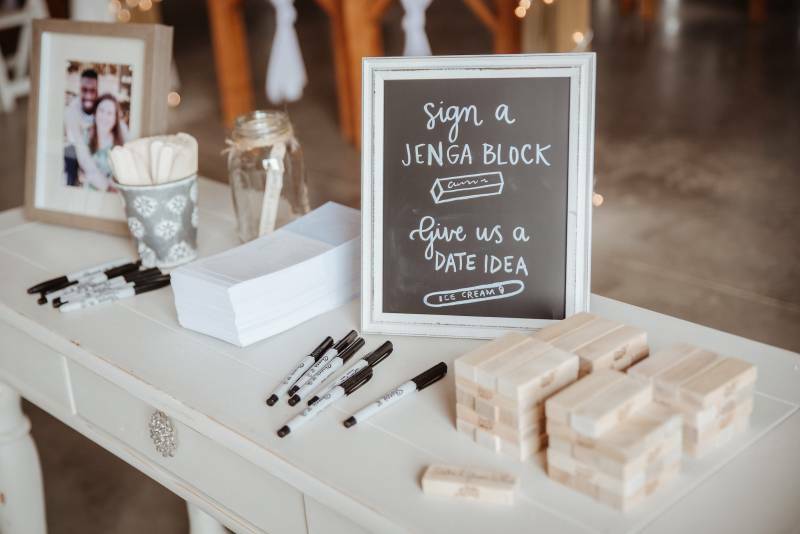 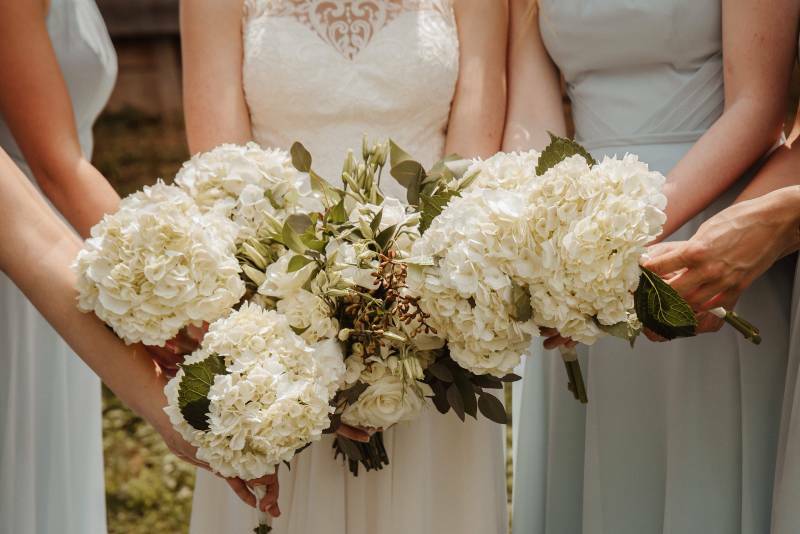 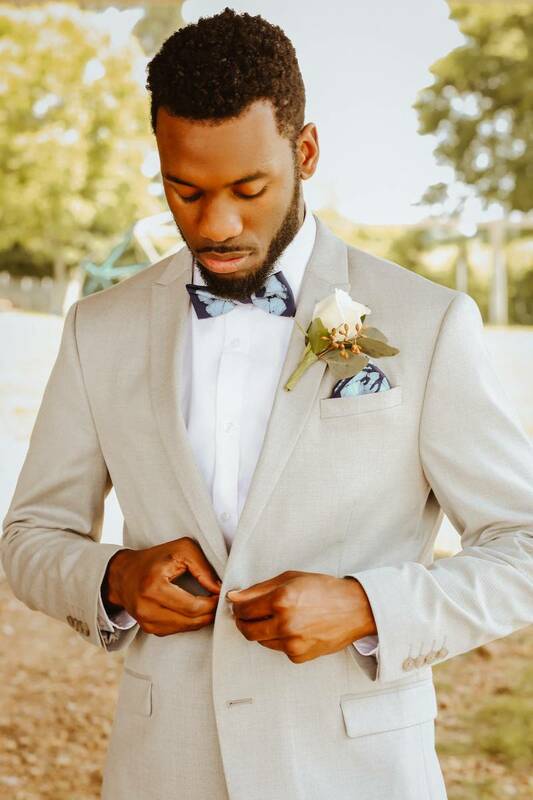 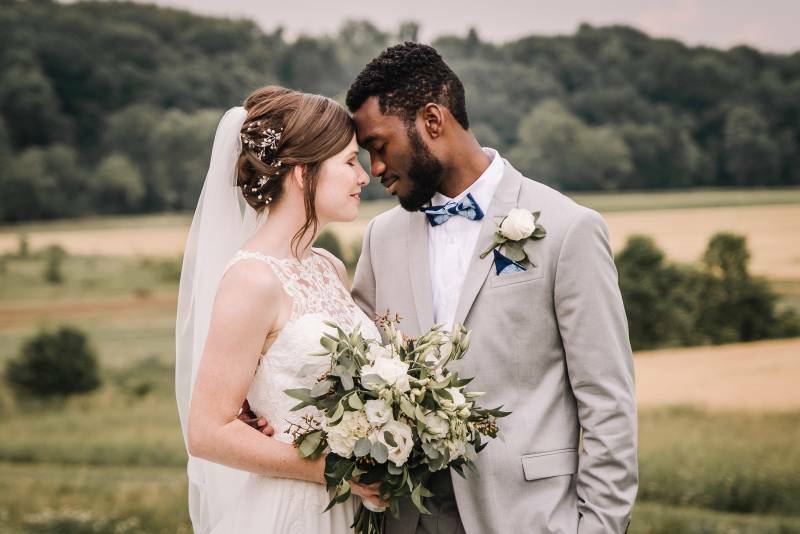 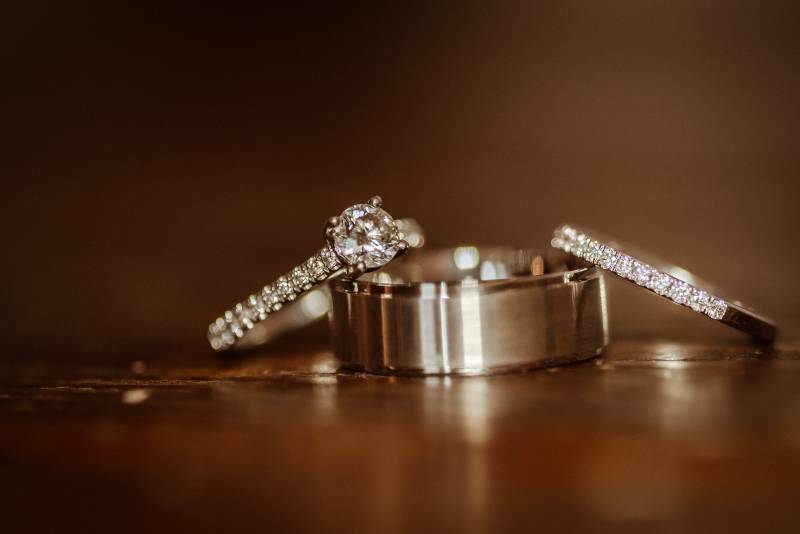 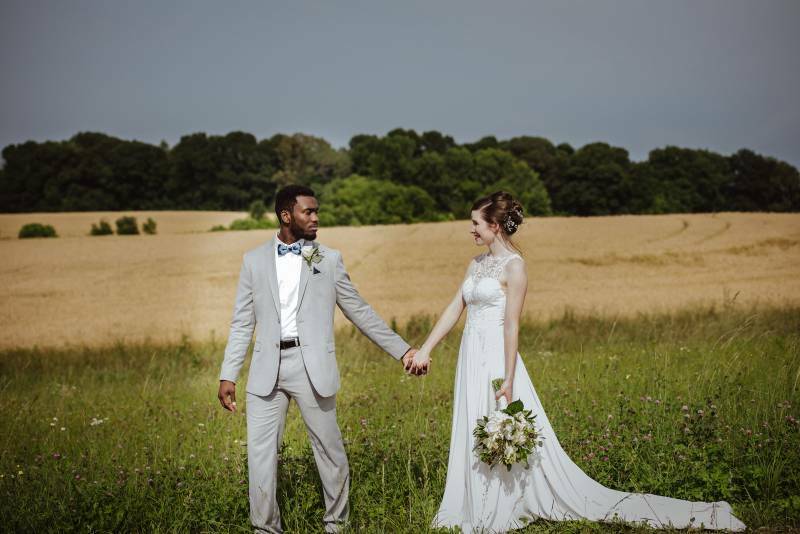 Keep reading to learn more about the couple straight from photographer Whitney Erin Photography! 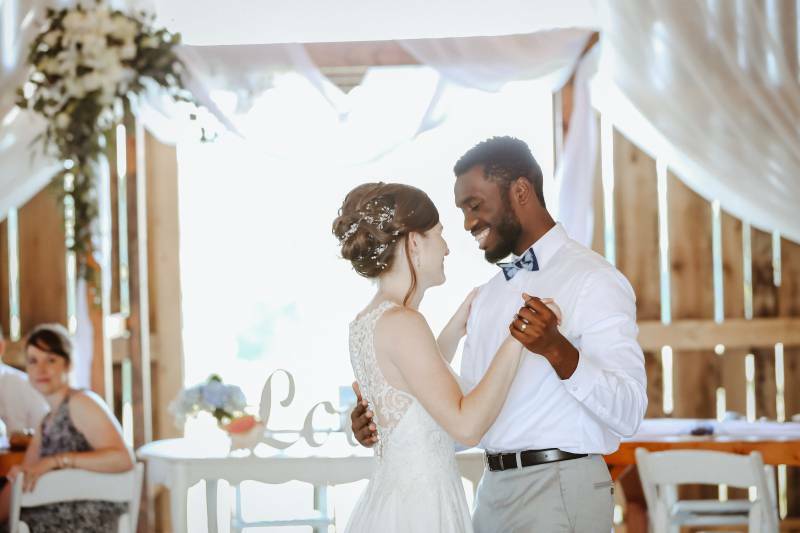 Photographer, Whitney on Lauren + Celtson's relationship: Lauren and Celtson are the kind of couple that you can't help but instantly love. 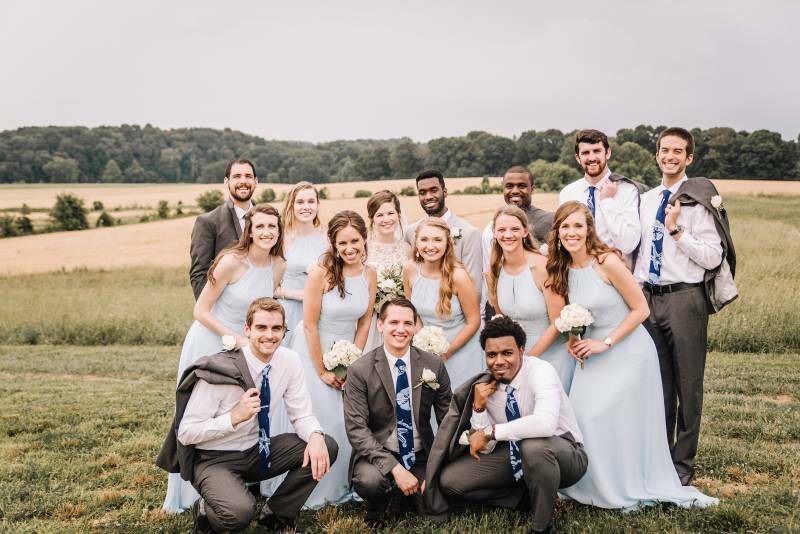 From their infectious smiles, bear hugs, and laugher, to their beautiful personalities, you just know they are type of people you want to be friends with. 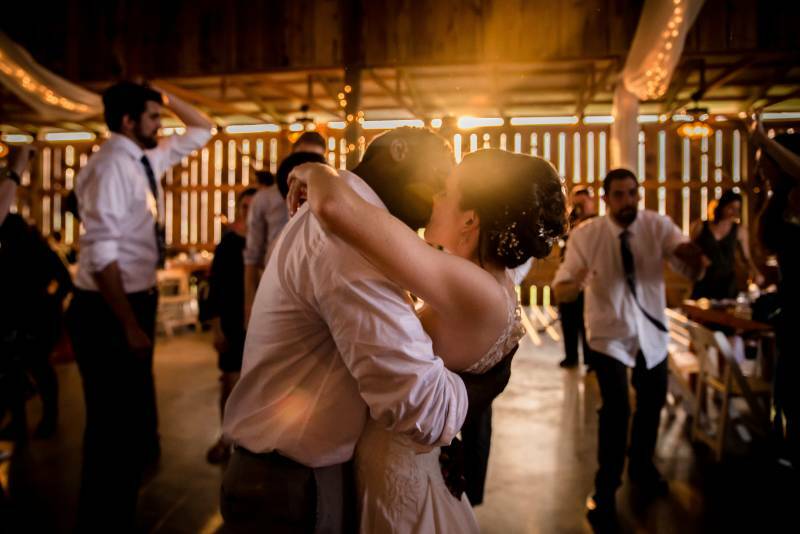 Lauren is a Chemistry professor and Celtson is a web developer. 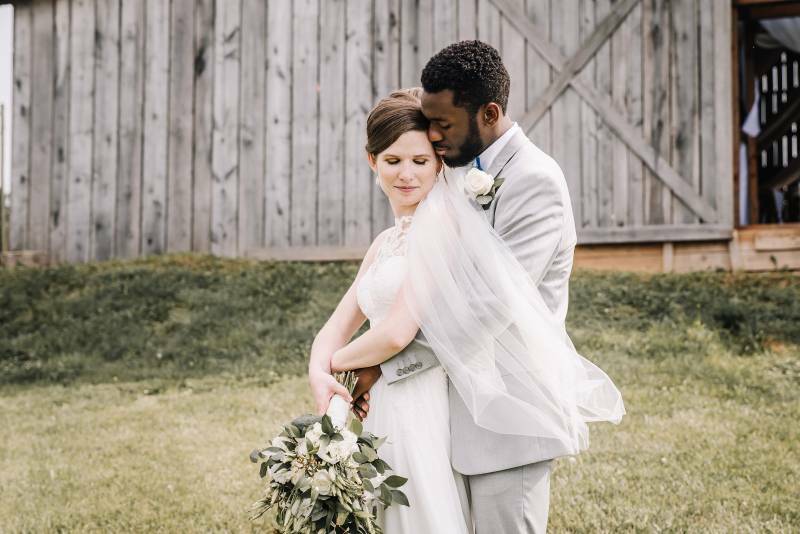 They met at church in Nashville, TN and have since moved to Pennsylvania for Lauren's job. 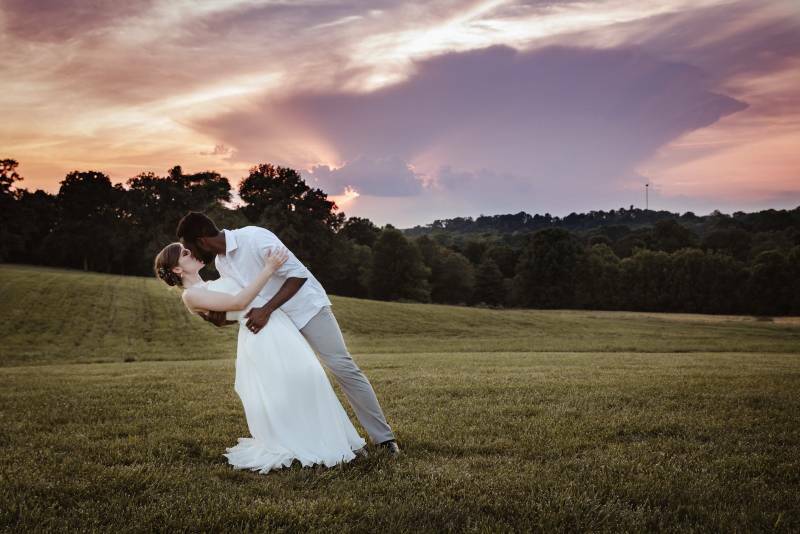 They still wanted to have their wedding near Nashville, where they met. 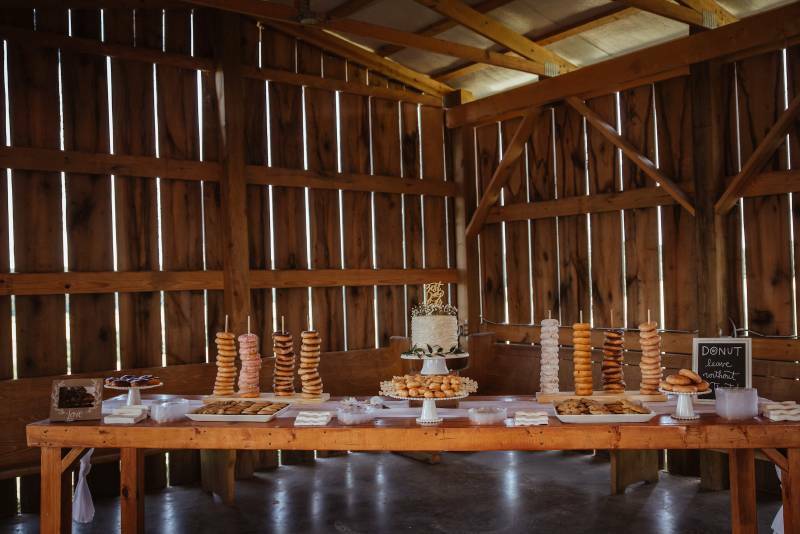 They chose to have their wedding at Red River Farms. 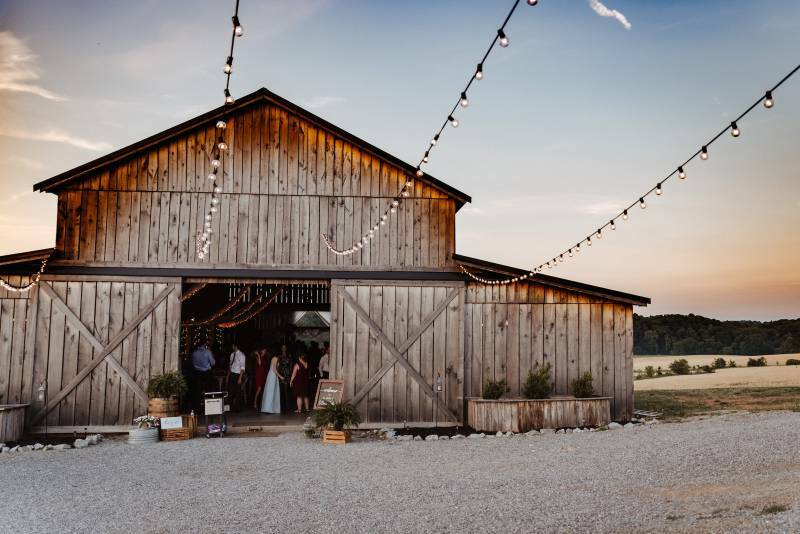 The beautiful barn with open beams and barn doors facing a beautiful view, was the perfect setting for their ceremony and reception. 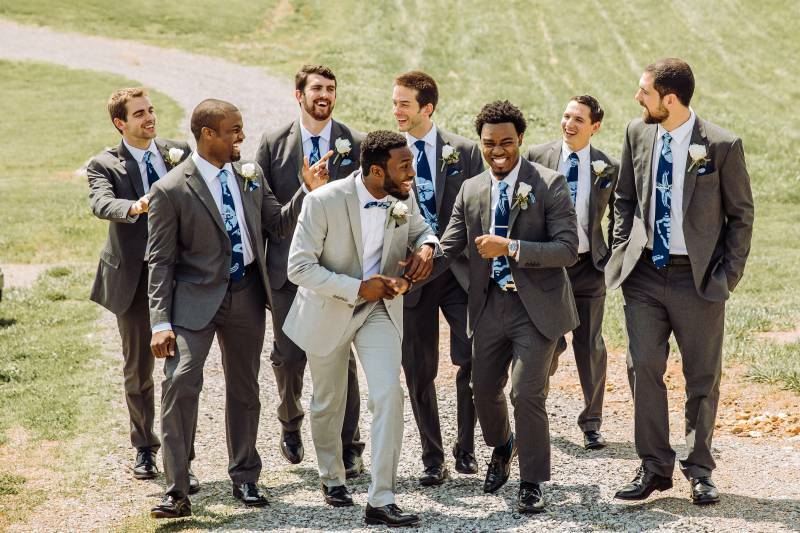 Photographer, Whitney on the wedding day: Celtson's reaction to Lauren walking down the aisle is every bride's dream. 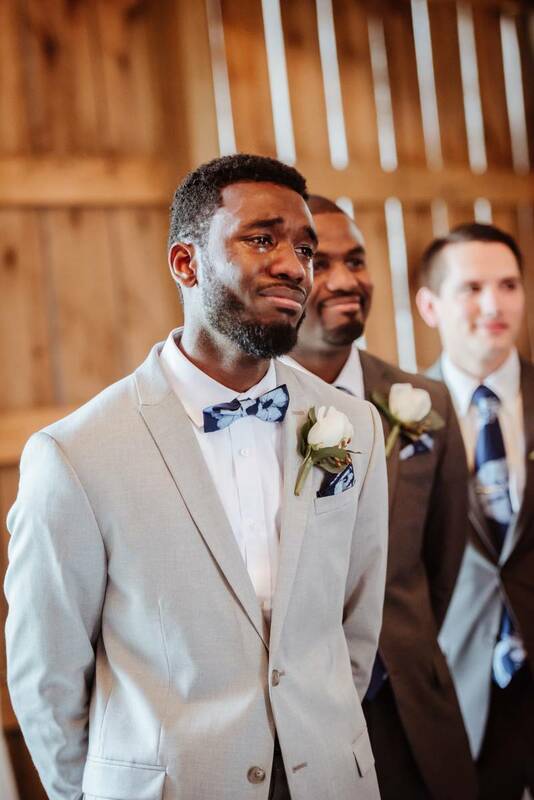 He had everyone in happy tears for them as they watched the emotional moment. 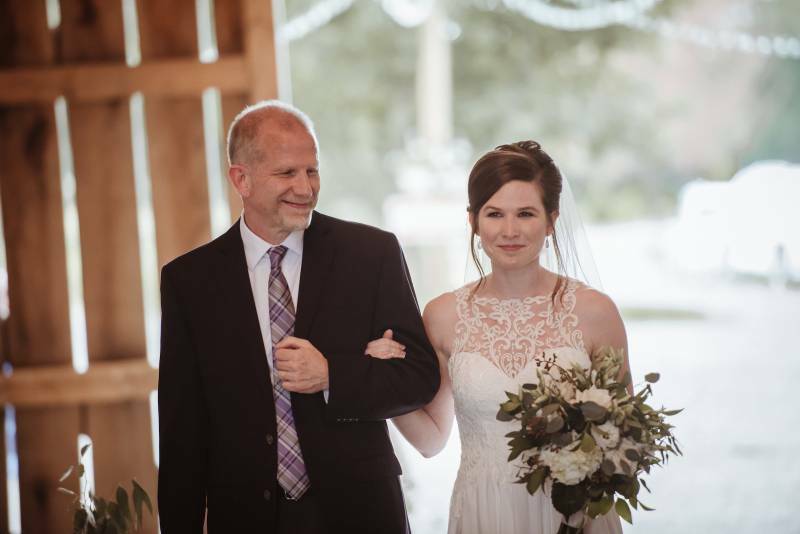 Lauren was all smiles and giggles as she got to walk towards Celtson. 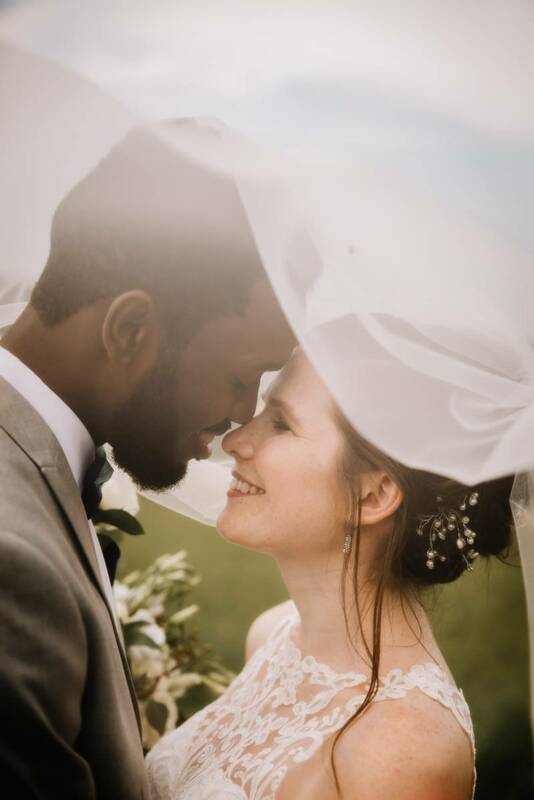 You could just FEEL how much they love each other by how they were looking at each other. 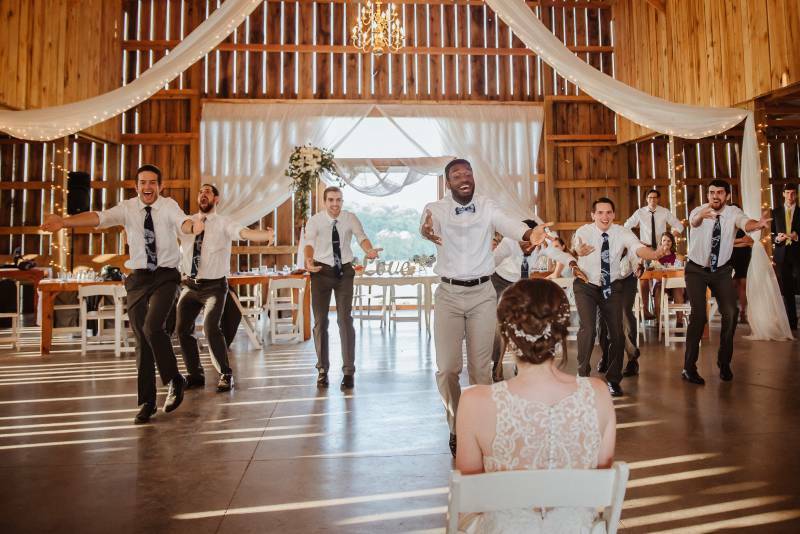 The whole wedding day was magical and to top it all off, Celtson prepared a fun dance just for his bride. 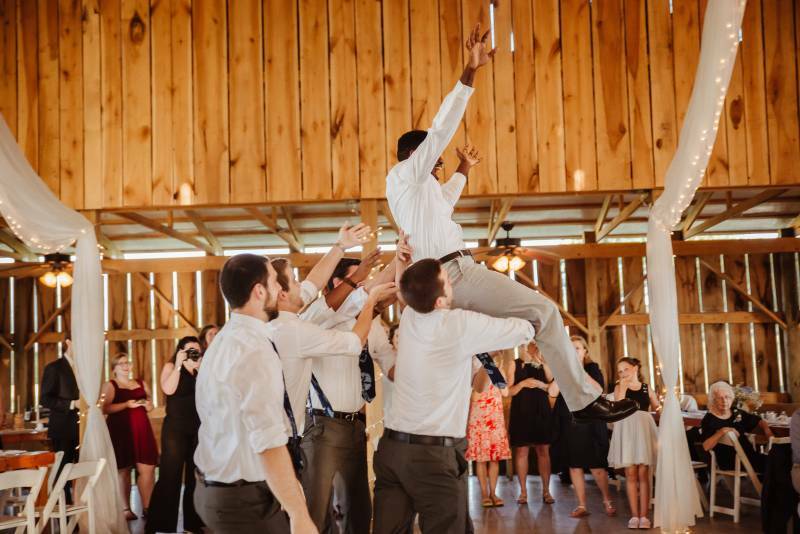 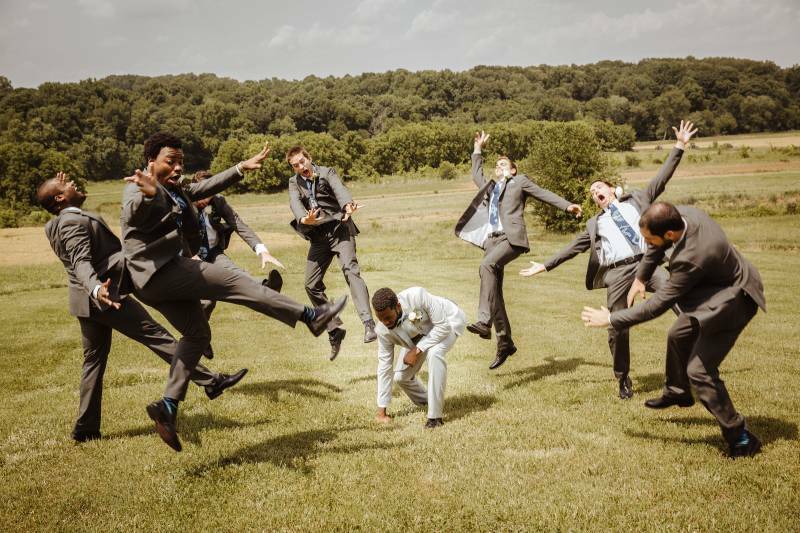 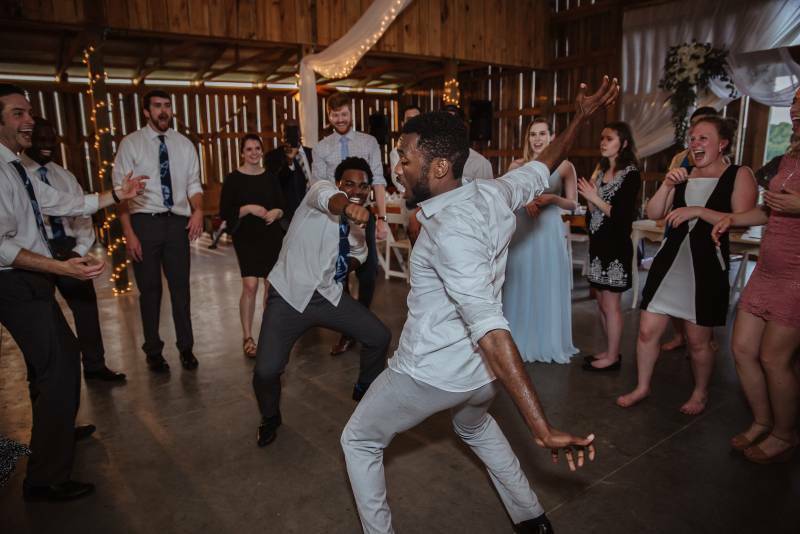 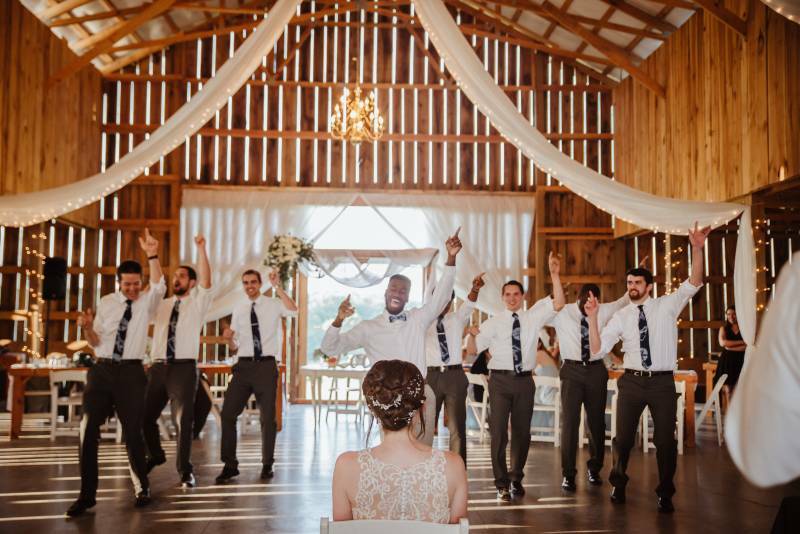 He and his groomsmen put on quite the show for everyone and Celtson definitely got the party started. 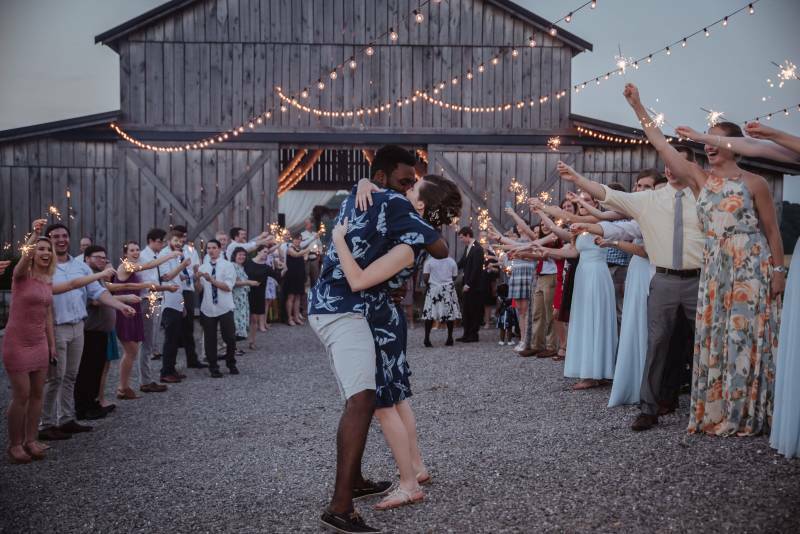 Everyone danced the whole night away until Lauren and Celtson's grand sparkler exit. 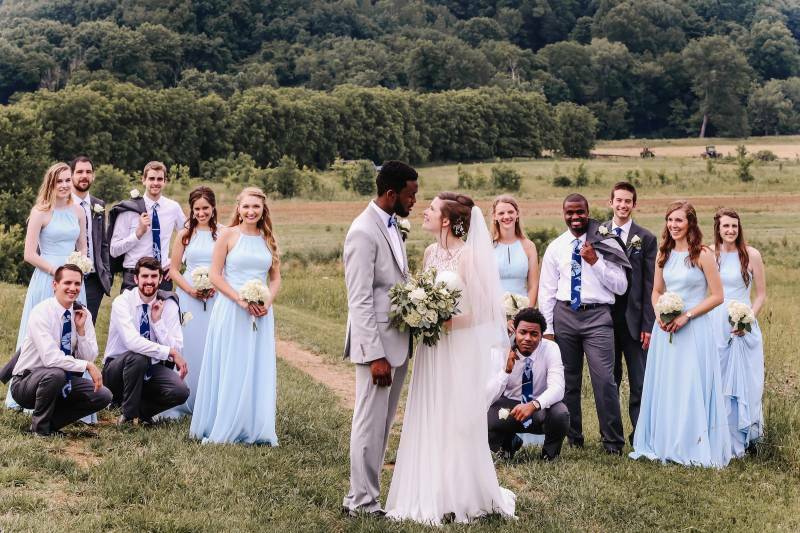 It was amazing to see two awesome families come together and celebrate with such an amazing couple! 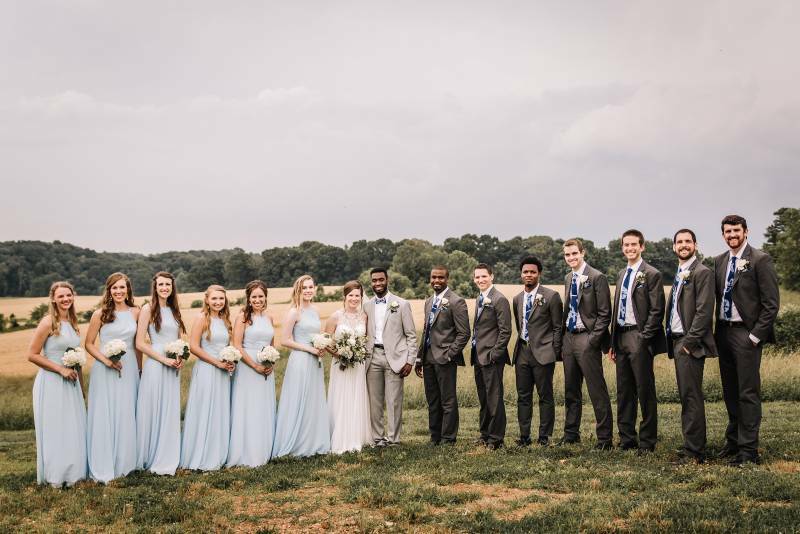 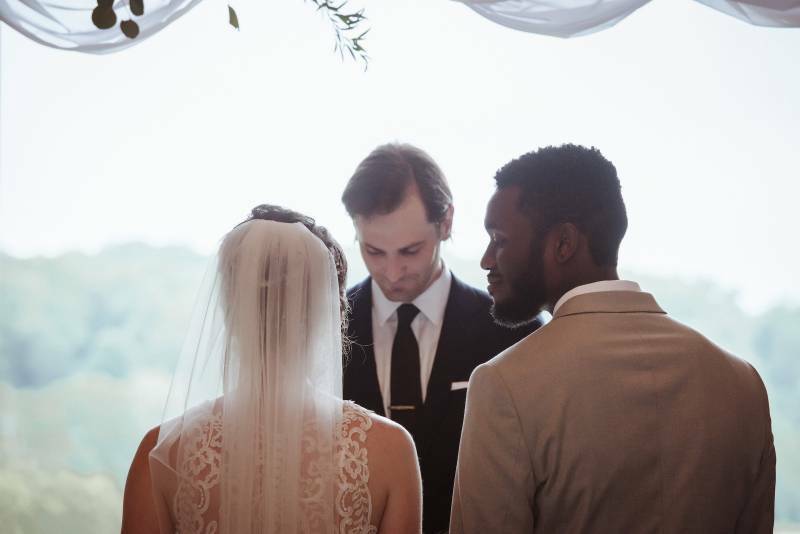 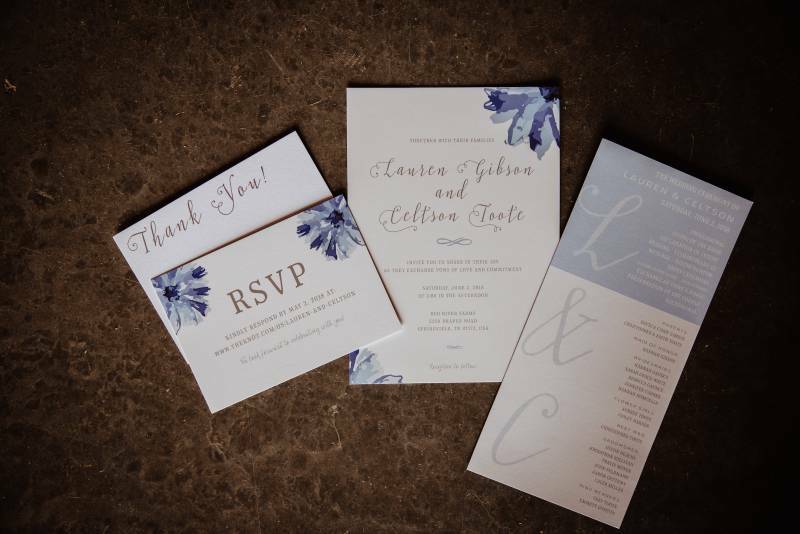 Thank you so much for sharing Lauren + Celtson's wedding with us, Whitney! 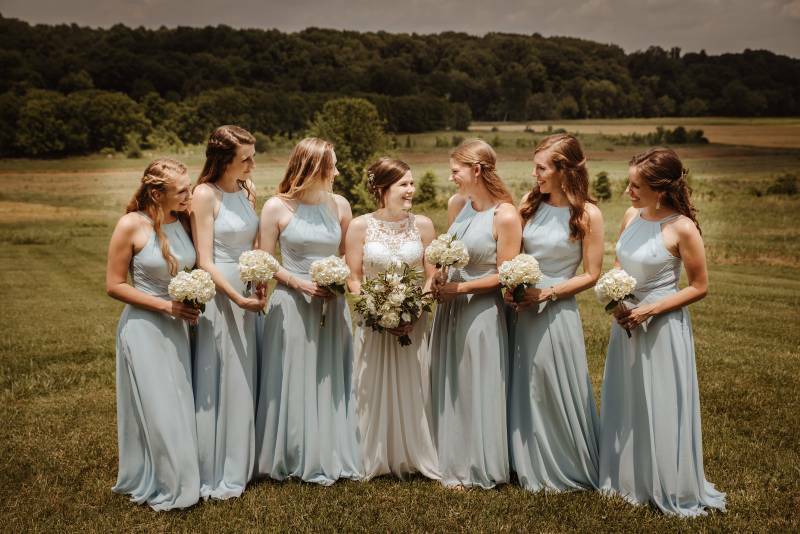 You can check out her website here: https://whitneyerinphotography.com/. 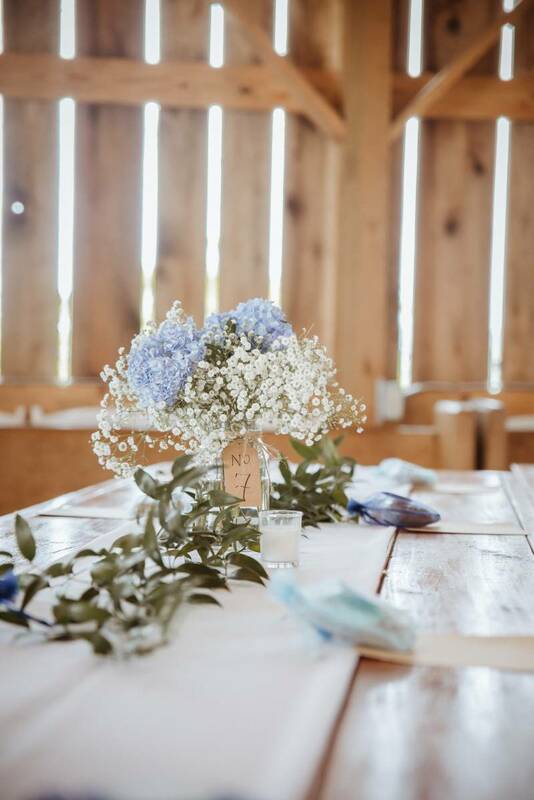 And also be sure to follow Whitney over on Instagram!